All the pieces of the platform puzzle were lifted in place by the heavy-lift vessel "Thialf". Yesterday the last module of the Johan Sverdrup riser platform was lifted into place. With this, the first of four topsides of the next North Sea giant has been installed. “It's a special feeling to see the first Johan Sverdrup platform in place, even a few days ahead of the plan set more than three years ago – all without any serious incidents along the way. This is a testament to the high quality in execution of the project so far, which again is a result of the good collaboration between thousands of people at our suppliers, partners and Statoil”, says senior vice president for Johan Sverdrup, Kjetel Digre. The riser platform – the first of four platforms to be installed in the first phase of the project – handles all exports of oil and gas from the Johan Sverdrup field. 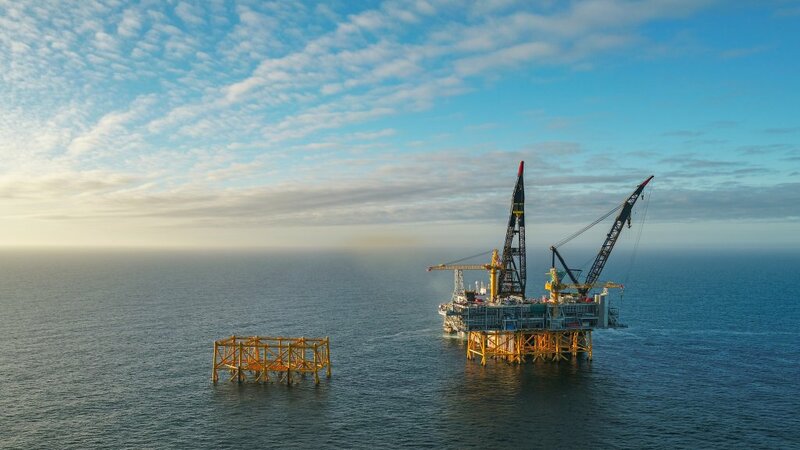 The power converter, which will enable the Johan Sverdrup field to be powered with renewable electricity from shore, will also be located on the platform. This makes the riser platform a particularly central piece of the Johan Sverdrup field center. Not only will oil and gas worth more than NOK 350 million pass daily through the platform at peak production (based on current oil price of around USD 70 per barrel and a production of 660,000 barrels per day), but power from shore will also make Johan Sverdrup one of the most carbon efficient fields on the Norwegian continental shelf. The riser platform topside was built by Samsung Heavy Industries in three modules, based on the design and engineering of Aker Solutions. Steel cut took place at the yard in South Korea on 30 June 2016. Only 19 months later, in February 2018, the Dockwise White Marlin with two main modules onboard set sail towards Norway. Three weeks later, the third and final main module followed suit on the Dockwise Mighty Servant 3. Once the vessels had safely arrived at the destination in the North Sea, all the pieces of the platform puzzle were lifted in place by the heavy-lift vessel Thialf of Heerema Marine Contractors. The riser platform is one of four platforms that make up the field centre on the Johan Sverdrup field in Phase 1 of the project. Ståle Nordal, Statoil's project manager for the riser platform, is very pleased to see the platform fully assembled at the Johan Sverdrup field. The construction has been a success in terms of time, cost and quality, but also in terms of safety. All in all, the construction has taken about 7 million hours, and with zero serious incidents. The key to success, according to Nordal, is thorough preparations and learning from other projects built in South Korea, as well as a supplier fully committed from day one in Samsung Heavy Industries. 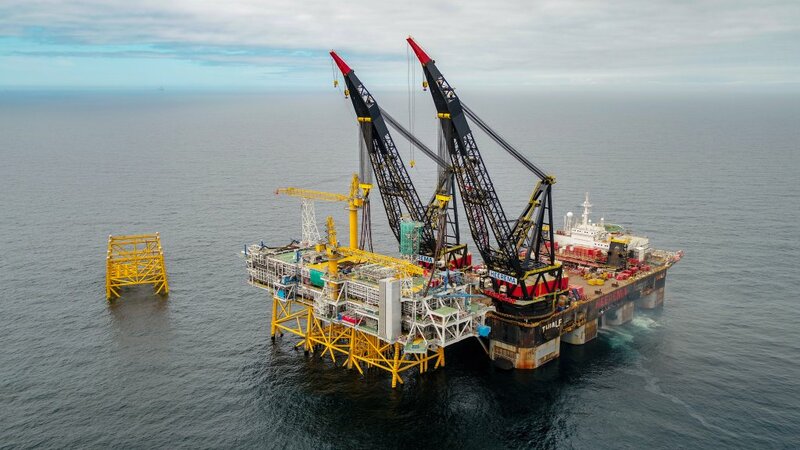 “Delivering a topside of this size and complexity in less than 20 months, and without a single serious incident, is a feat on its own,” says Nordal. The installation of the riser platform marks the beginning of one of the most hectic installation programs ever for a project in Statoil. More than 400 km of pipelines, 200 km of power cables, the drilling platform, two jackets and a bridge, will be installed during the next weeks and months. And in early May the offshore organization, which will grow to as many as 2,400 people spread across three shifts at its peak, will initiate the important work of connecting and hooking up the growing field center and starting to prepare for production start-up late in 2019. “With this milestone we firmly take a step into the final phase of the project. These operations have been carefully planned, drawing on Statoil's significant experience in this area. Even so, given the significant installation scope in the Johan Sverdrup project we're entering into an exciting but complex period, with safety always as the highest priority. With the riser platform in place, however, we have taken a significant step forward in preparation for start-up late next year,” says Digre.